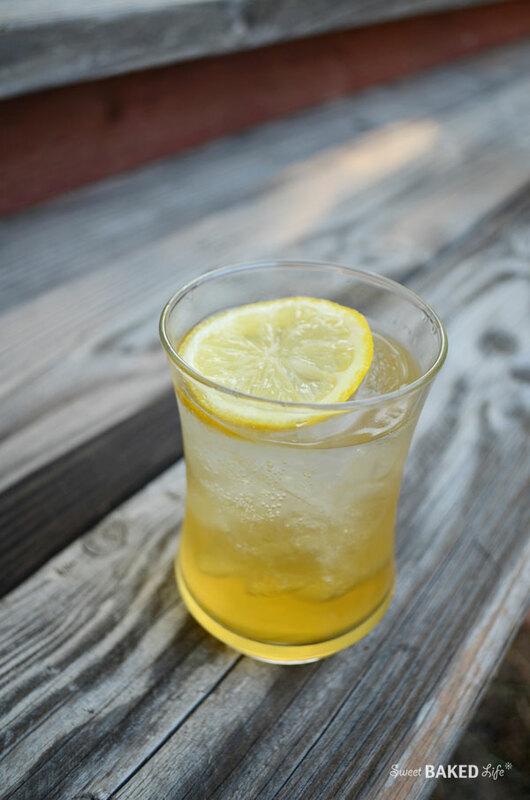 Celebrations just got a little better with the addition of this refreshingly delightful Sparking Amaretto Sour! You see, with today being my second blogiversary, it’s also St. Patrick’s Day, and spring just around the corner, there is no better time for me to raise my glass and toast all of you then during this most happy time of year! Spring is one of my favorite seasons — it signifies rebirth, renew, rejuvenate, and rejoicing! I feel incredibly lucky to have this little blog of mine that I adore so much! And, blessed that my family is supportive of my creative and crazy culinary journey that I began 2 years ago. I love my guys (aka hubby and son) so much that it hurts! They are the best things this girl could ask for and not only that, but they are my built-in, ever-so truthful taste testers. And to all of my extended family, friends, followers, fellow bloggers, it is you I thank for giving me the courage and determination to continue, to grow, be inspired, and to help me find my way amongst this large, vast food blogging community. You all have certainly given me hope to carry on, and on the days when I need a little lift, there it is…a like, a comment, a new follower — and the feeling that someone actually read my post! I love hearing about how you have tried my recipes, switched it up, and made it your own! It’s the simple things, the small acknowledgements which really brighten my day! It does make me feel proud knowing that little old me, touched someone with some special sweetness. So I want to toast all of you from the bottom my heart. First,, here are some of my favorite cocktails that I have made over the years that I would like to share again with you, they include: pretty Pink Lemonade Margarita, classic Dry Vodka Martini, fruit infused Fresh Blackberry Margarita, a warming Starry Night Cocktail, and the nutty Homemade Amaretto. And now, let me introduce my new cocktail that is truly refreshing and has a delightful flavor; it’s my Sparkling Amaretto Sour. It’s distinguished flavors and will proudly stands out as one of my favorites. As with most of my recipes, it’s super easy to make. 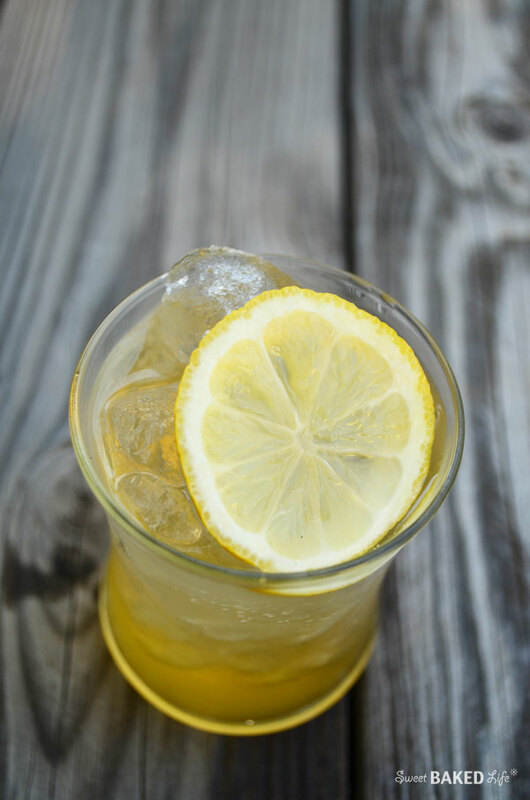 You start with some flavorful Amaretto combined with sweet and sour mix, give it a whirl and then top it off with 7-up and a lemon slice. The amazing outcome is a pleasurable combination of a sweetly tart libation with a nutty twist. It’s quite tasty and quite festive! Into a glass add the amaretto and sweet & sour mix. Stir. Add ice to fill glass. Top off with 7-up and garnish with a slice of lemon. 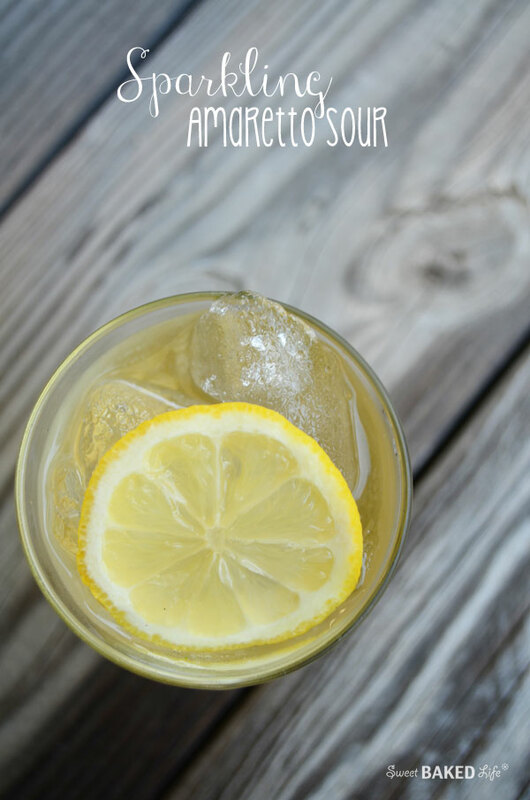 Come on friends, get your taste buds ready for this tasty Sparking Amaretto Sour and celebrate with me! May the hinges of our friendship never grow rusty. Cheers! Sounds delicious! Congratulations on your second blog anniversary! Hi Sheila happy second blog – versary! What happened to the cake recipe to celebrate the occasion?! I’m so excited!!! You have made me remember that back when I was first drinking, which was in my mid-20’s (I didn’t like the taste of alcohol!) I used to have these occasionally. But I’ve never made them! I need to find a good sweet and sour mix, and I love the idea of the 7-up! Thanks!! !